When it comes to education, the physical condition of classrooms and schools can influence the teaching and learning that happens inside. Exposure to mold, lead, asbestos, and similar hazards can have lifelong impacts on students’ health. And schools may be forced to temporarily close when ancient heating and cooling systems fail. Public school officials across the nation struggle to keep up with needed renovations, repairs, and modernization. The state of school infrastructure, as well as efforts to fund new buildings and maintain existing ones, offer rich fodder for meaningful reporting. 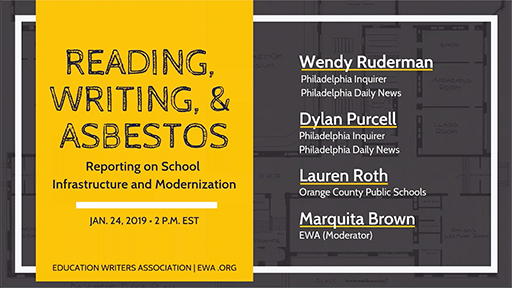 In this webinar, two journalists who examined toxic conditions in Philadelphia public schools and a former journalist who now handles communications for the facilities department of one of the nation’s largest school systems offer tips on digging deeper into issues related to school infrastructure and school modernization. Holding officials accountable for correcting unsafe school conditions. See upcoming and previous EWA webinars. Barbara Laker isn’t an education reporter. She doesn’t have a long list of teachers’ phone numbers in her contacts. So, it’s amazing that she was able to find and convince 24 teachers and other school employees from 19 elementary schools to swab pipes, drinking fountains and suspicious patches of black on classroom walls. When it comes to school district finances, the numbers aren’t easy to add up. But tracking and analyzing this information is a powerful tool to drive smart news coverage. 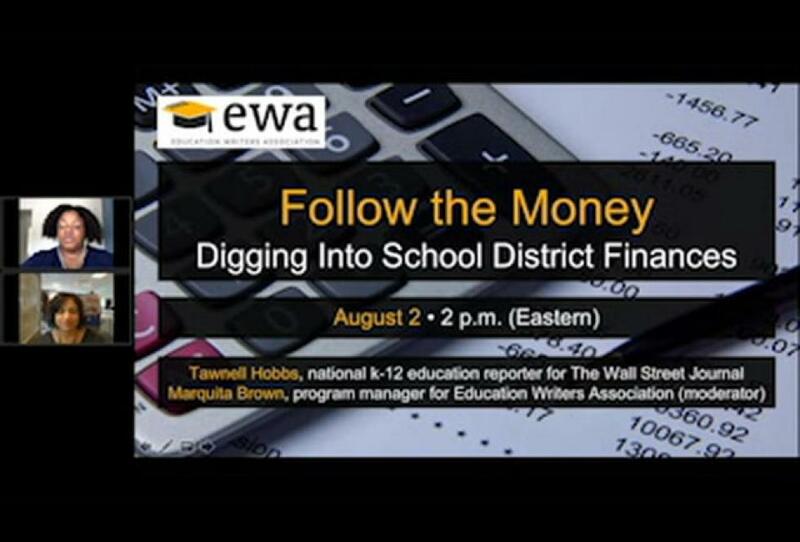 Veteran education journalist Tawnell Hobbs of The Wall Street Journal shares tips and tricks for digging into district operating budgets and actual expenditures, as well as salary databases, overtime requests, check registers and credit card accounts, purchase orders, and more. Learn how to evaluate fiscal data that’s readily available and make the most of open records requests.